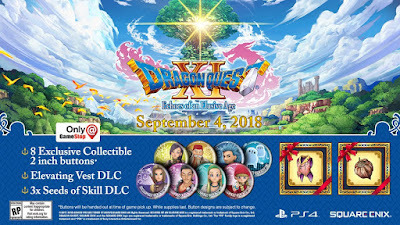 Dragon Quest 11 launches for PS4 and PC via Steam this September and those who reserve the PS4 version ahead of its release will get a few extra goodies with the game .Square Enix has revealed pre-order bonuses for Dragon Quest 11 ,which will vary depending on where you purchase the title . The Elevating Vest is a piece of equipment that grants the character wearing it extra experience points after a battle .The Seeds of Skill ,meanwhile are consumable items that bestow an extra skill point on the character who eats them . 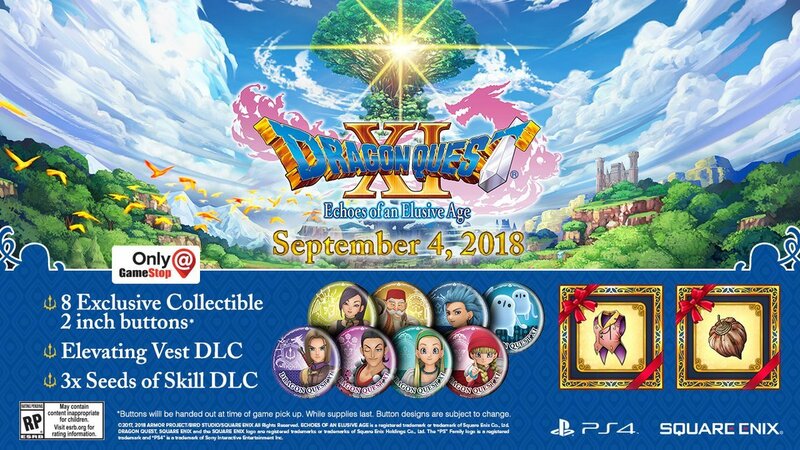 Dragon Quest 11 is also available for Pre-Order from Amazon and players who reserve the title there will receive a slightly different pack of in game bonus items . Dragon Quest 11 launches for PS4 and PC on 4 Sept .A 3DS version was released in Japan but Square Enix confirmed that edition won't be localized .Dragon Quest 11 is also in development for Nintendo Switch .